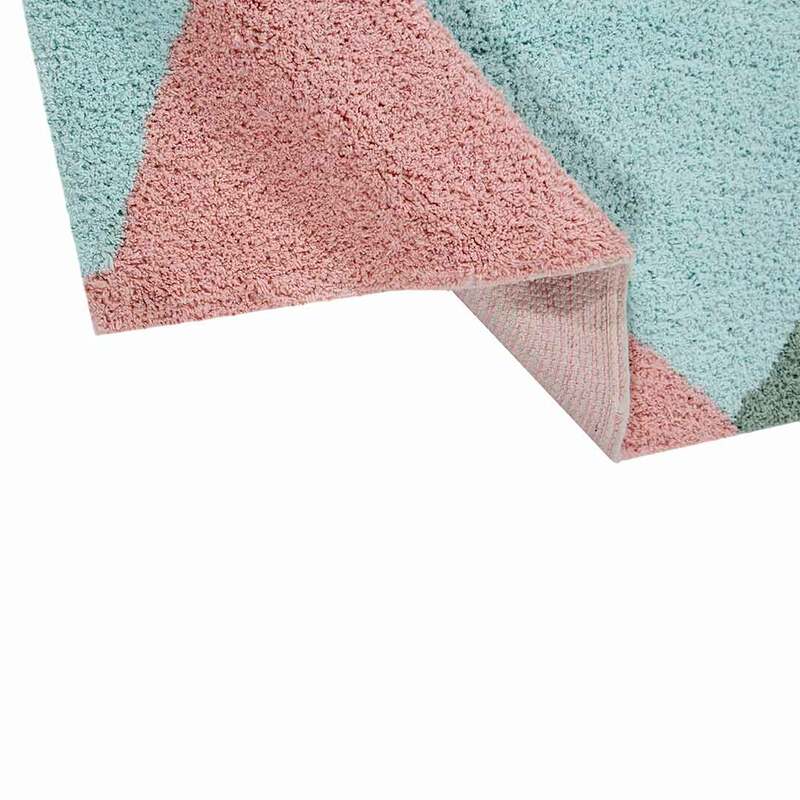 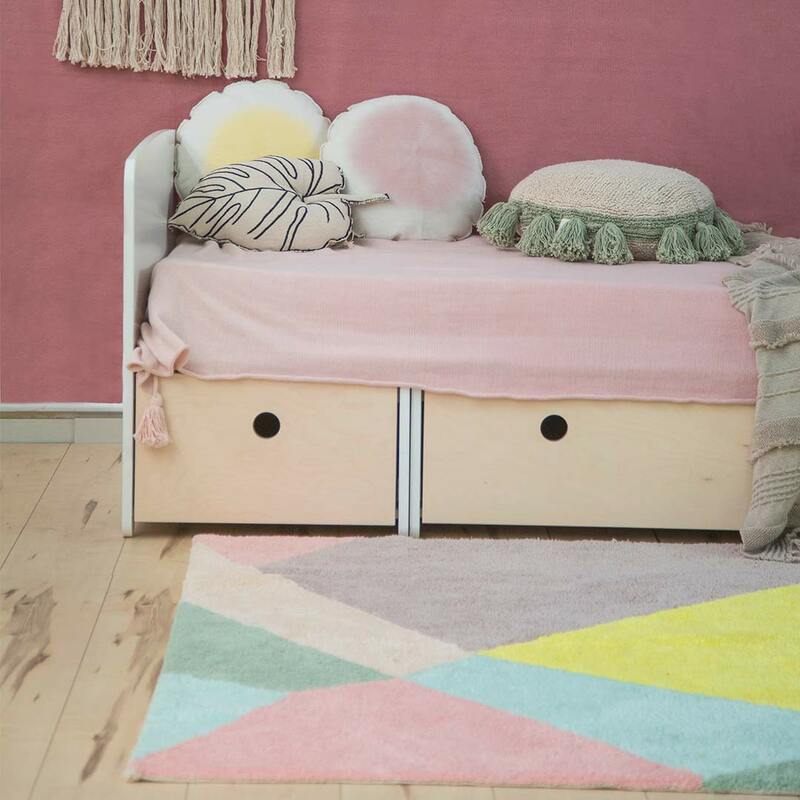 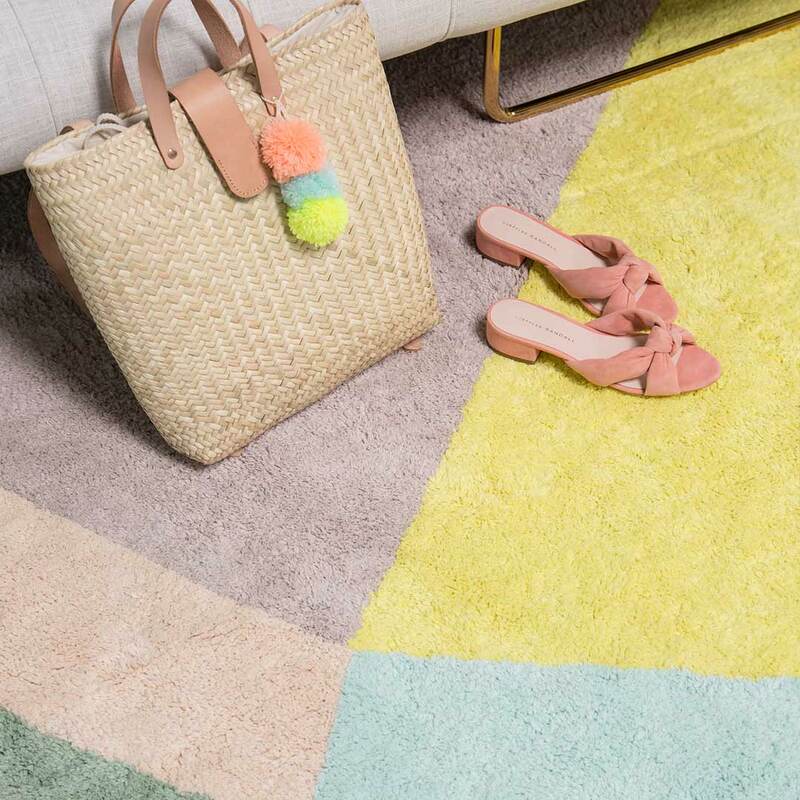 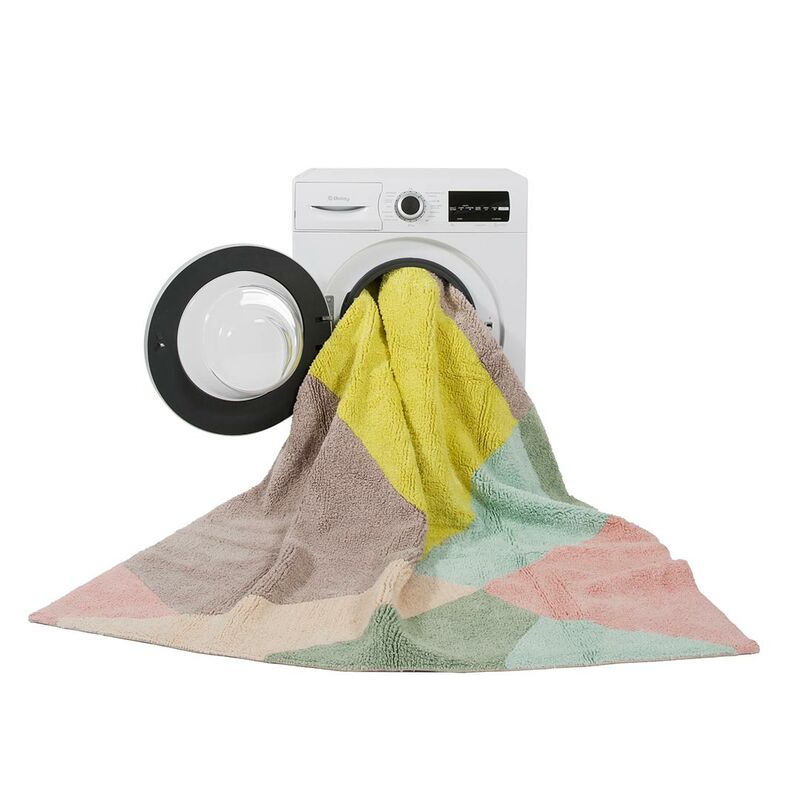 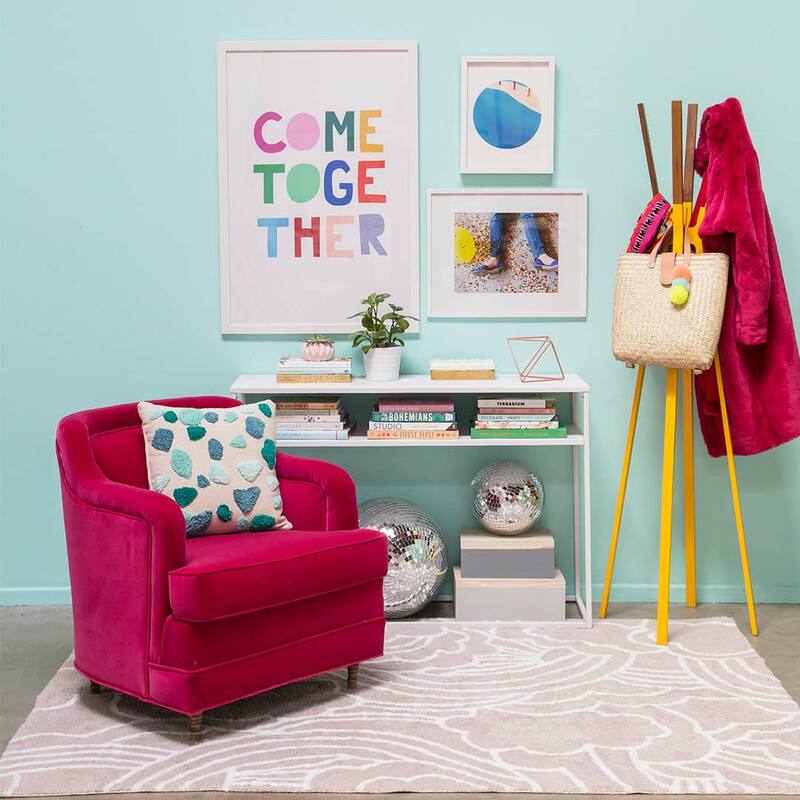 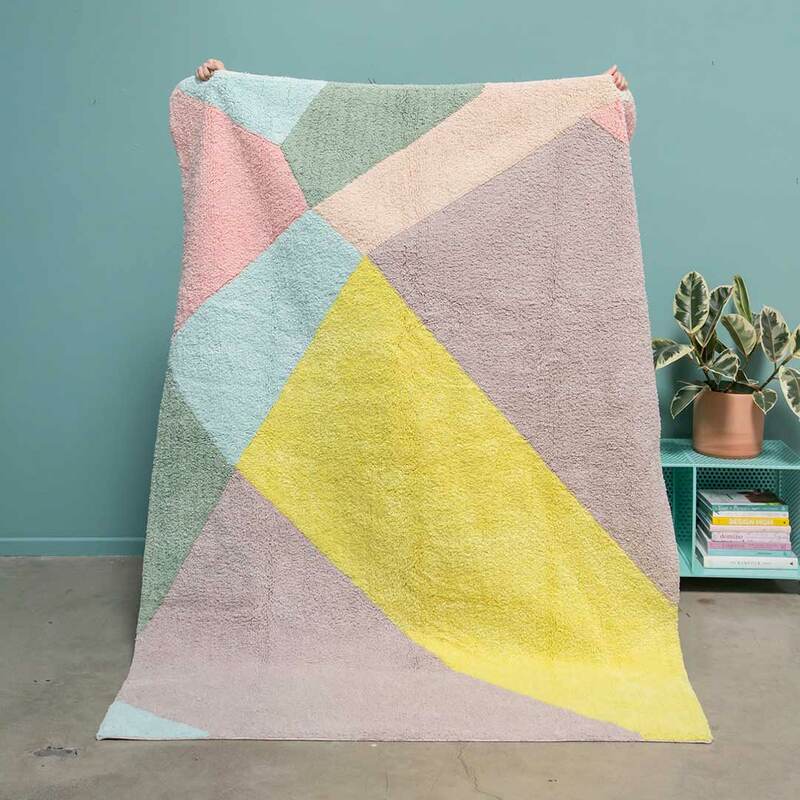 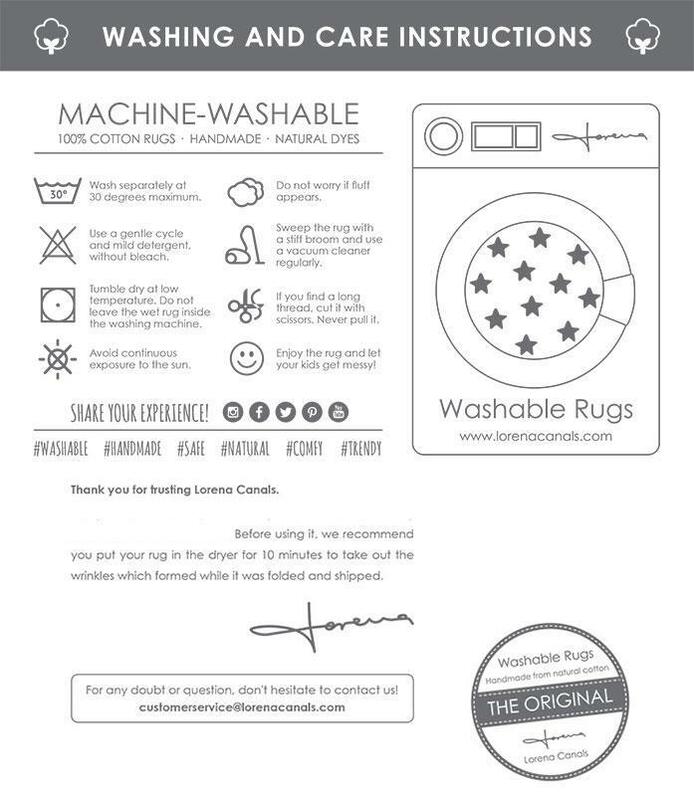 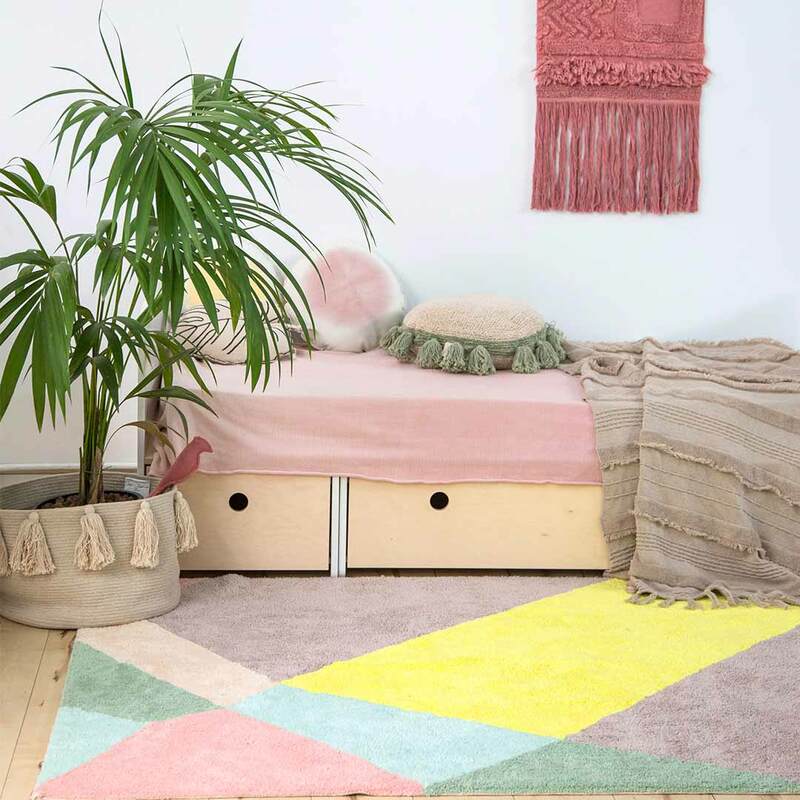 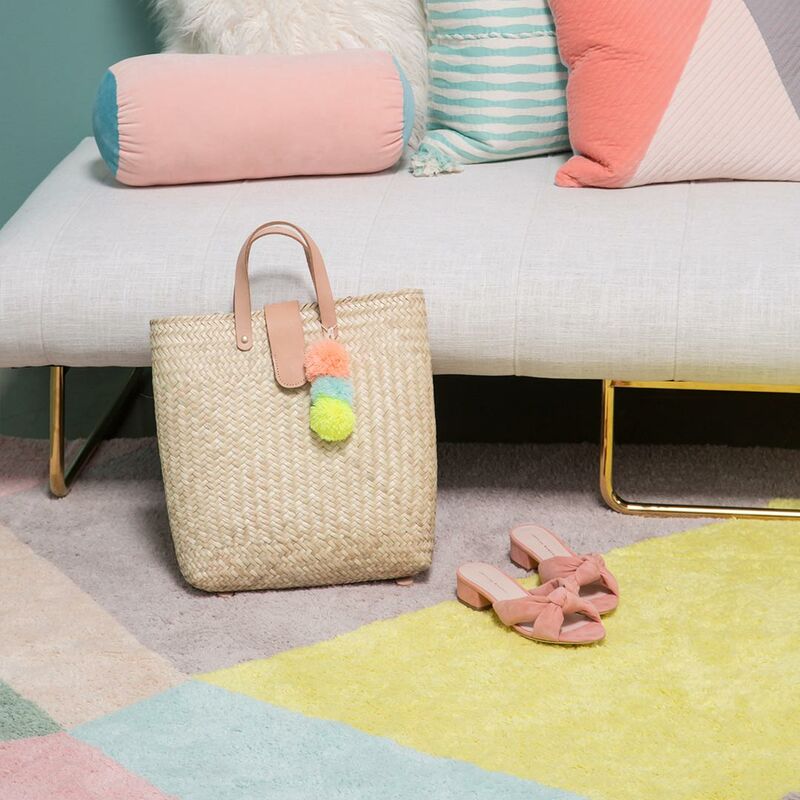 The 100% cotton Happy Prism Rug from the Oh Joy! 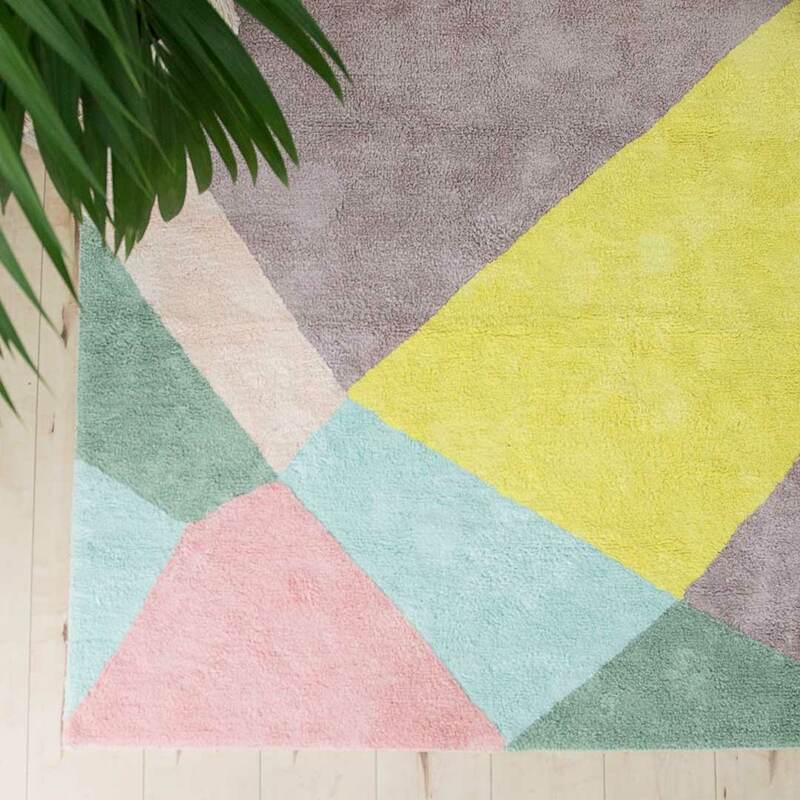 for Lorena Canals collection is inspired by magnificent prismatic rays of light. 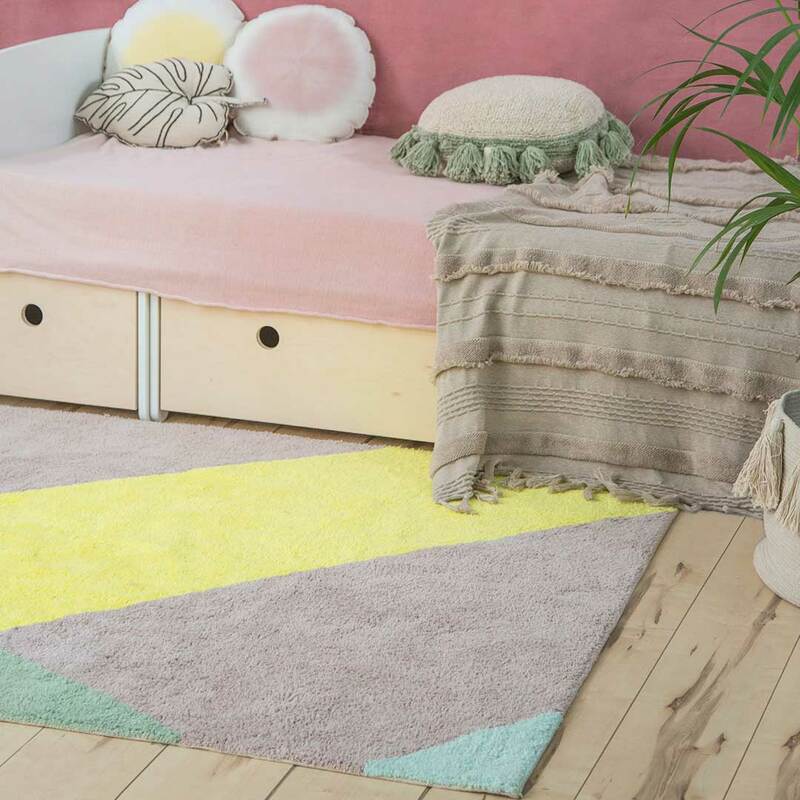 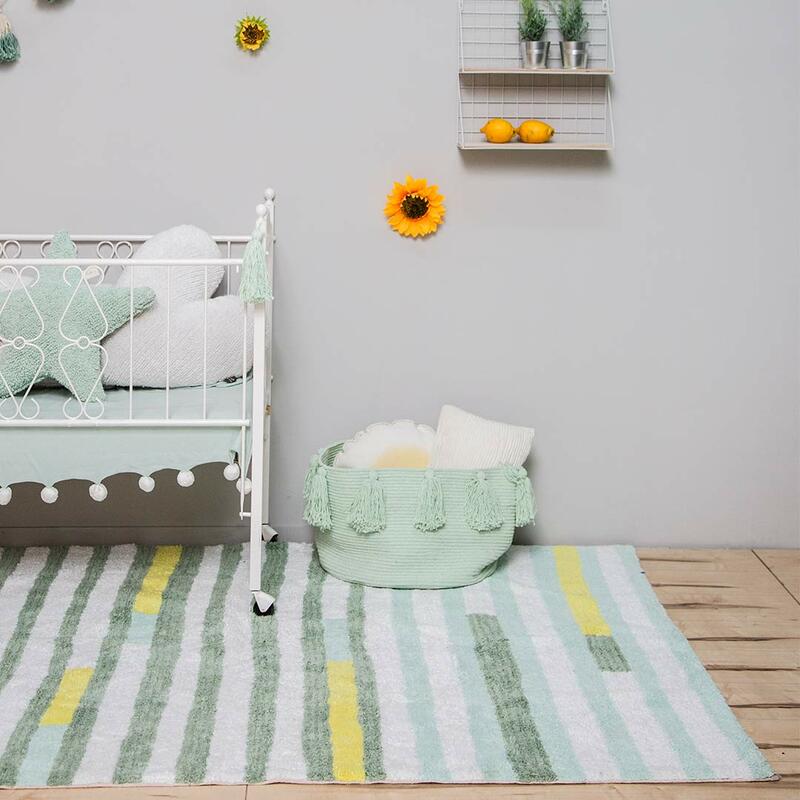 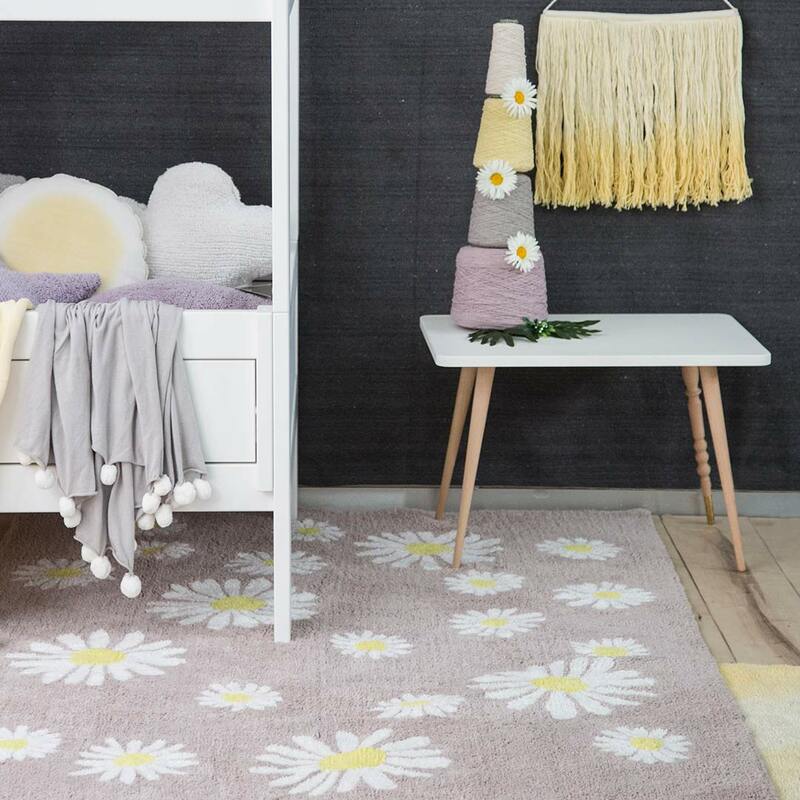 Both striking and fun, the delightful Happy Prism rug is an inspirational addition to a nursery, kids room, playroom, lounge and even office! 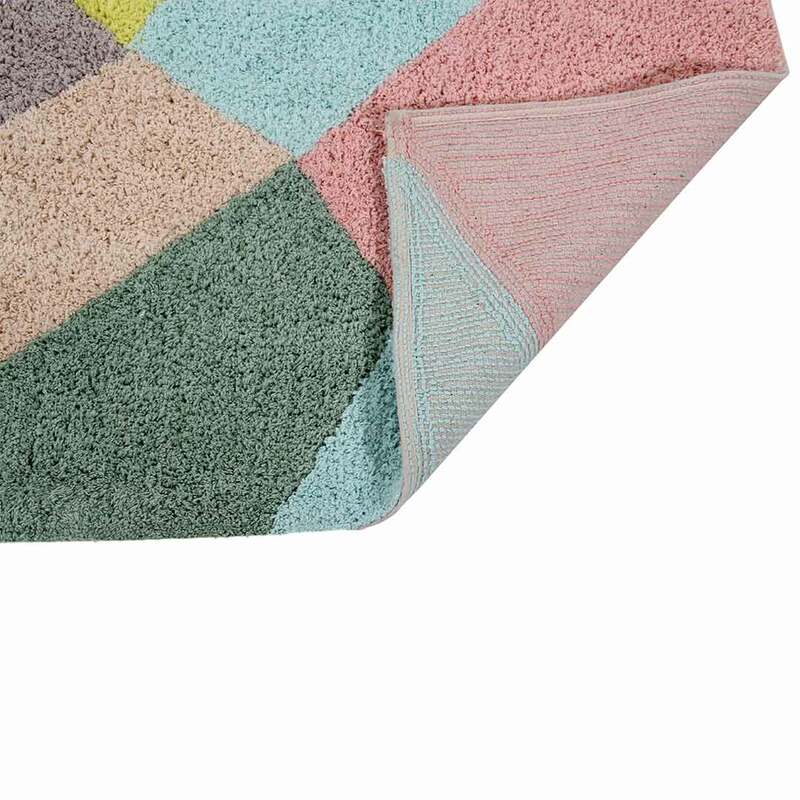 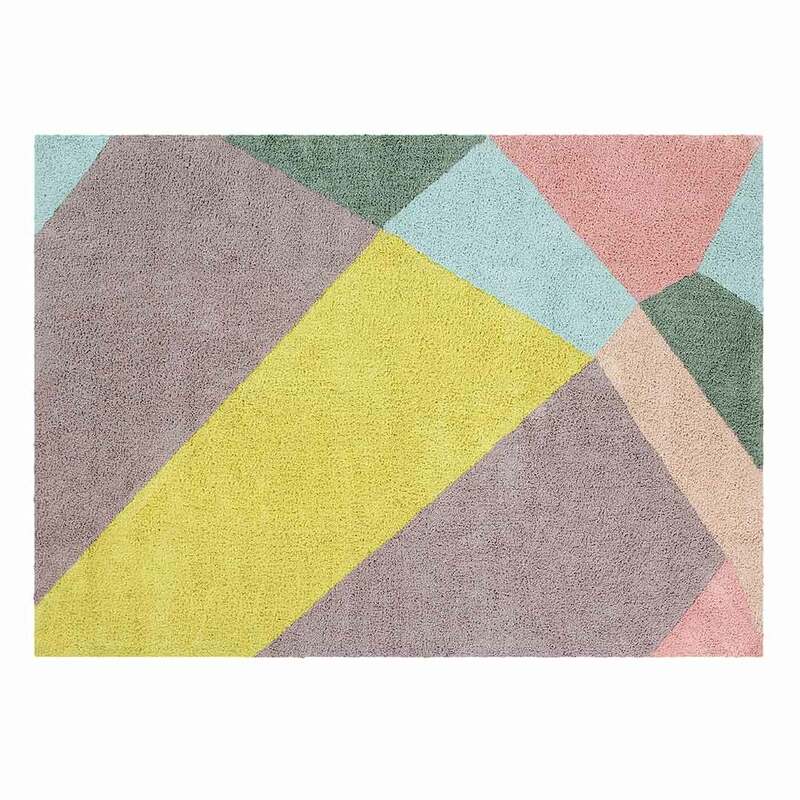 This cotton tufted rug has a rectangular shape with geometric shaped blocks in a harmonious colour combination of rose, sky blue, sage, lemon yellow, warm grey and pale blush.